David Addison confirmed as ITV commentor for BTCC. David Addison has been confirmed as ITV Sport’s new lead commentator for both the Dunlop MSA British Touring Car Championship and the Porsche Carrera Cup GB. Addison will join former BTCC title winner and two time Carrera Cup champion Tim Harvey in the commentary box for all ten events this season, which will once again be broadcast live on ITV4. 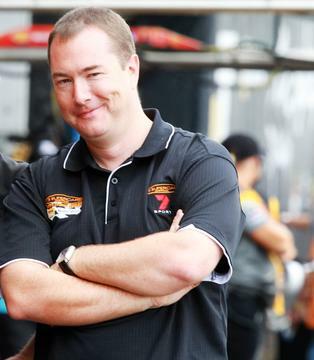 He replaces Toby Moody, who has returned full-time to his MotoGP commentaries. David’s television commentary credits include the Australian V8 Supercars, German Touring Cars, Le Mans, Spa 24 hours and the Blancpain Endurance Series. He has been involved in BTCC commentary since the early 1990s, as well as the writing and production of BTCC event programmes since the late 90s. The 40-year-old from Daresbury in Cheshire said, “I’m absolutely thrilled to be joining ITV4 for this year’s BTCC. The championship gives the best racing in the country and that, coupled with the superb television coverage, makes it a dream job. To be working with Steve Rider, Tim Harvey, Louise Goodman and the rest of the ITV team is a huge honour and I can’t wait to get started.